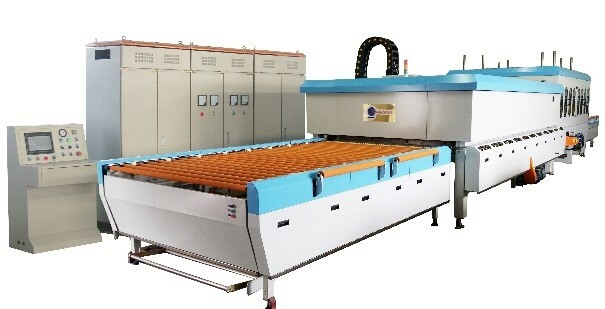 This machine is composed of Loading Section, Heating Section, Quenching Section, and Unloading Section. This machine can produce common flat glass, pattern glass, sand-blast glass and opaque glass, concavo-convex glass, reflecting glass and hard filmed, low-E glass. Inside the furnace heating section, our new air convection technology uses special nozzles designed in USA. The new air convection system is equipped with force convection device to make the glass have excellent consistency and stability during the heating period. The high temperature air convection and even distribution of temperature are guaranteed. And the convection can be adjusted in a wide range and easily controlled. Every group of temperature controllers has protection for temperature exceeding. 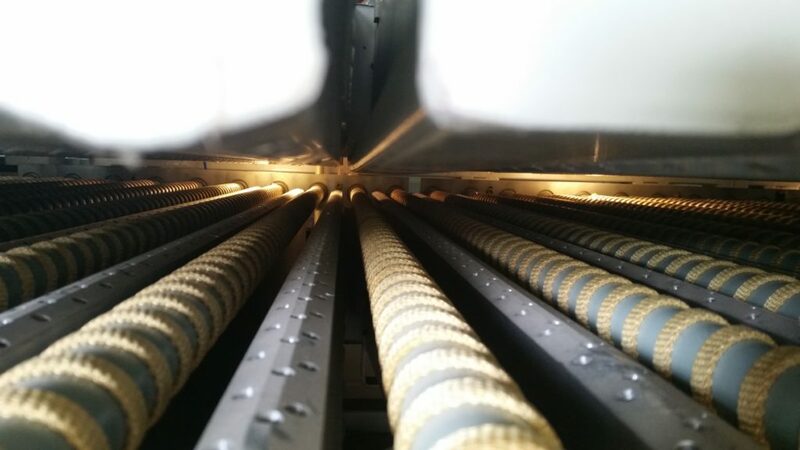 The furnaces have ceramic rollers that are excellent in linearity, roundness and heating deformation. Glass is almost 0% distorted during heating period. The quenching section is composed of high-pressure blower, blades, quenching and drive system. 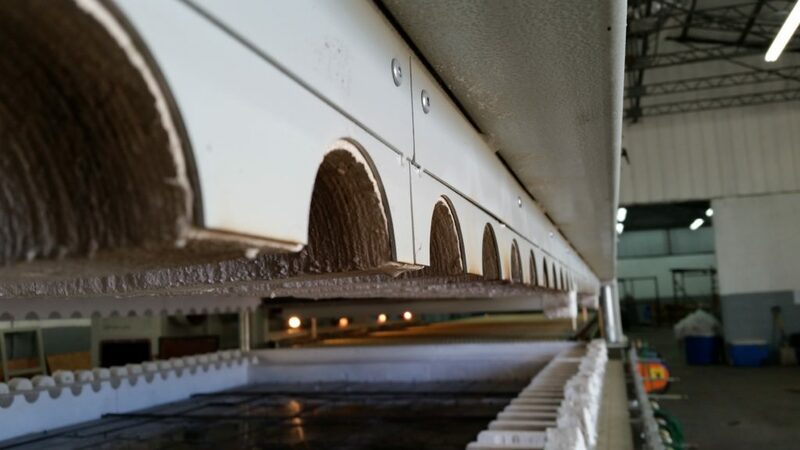 The blades in the quenching section make the cooling-air blow evenly on and below the glass surface. The distance between the blades and glass is adjustable to reach the best glass quality. Glass product is nearly pure flat, no spot, and no curve. Its optical characteristic is close to that of the original glass. All the products meet the standards of GB/T9656-1998, GB/T9963-1998 and tempering standard of JIS R 3206. Our machines have Safety-first multi-protection systems, and is user-friendly. The characteristic is high production efficiency, excellent quality, and low energy consumption.